We are very pleased to announce SKY TING YOGA's Spring 2019 200-Hour Teacher Training program! The program will cover a comprehensive base of the foundational principles taught at the studio. 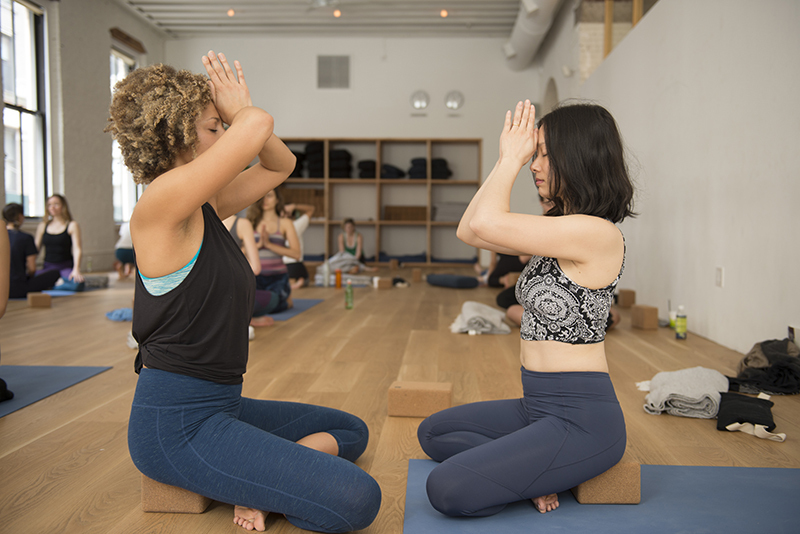 It will be led by SKY TING’s co-founders Krissy Jones and Chloe Kernaghan, as well as our top teachers, and incredible guest lecturers including Katonah Yoga's® founder Nevine Michaan. Upon graduation, expect to have a thorough understanding of the practice, the tools to support a high quality home practice, and developed skills for teaching safe and effective classes that you can share anywhere! Attendance to all weekends is mandatory in order to receive certification. Missed lectures can be made up in Fall 2019 training. Completion of the program and all requirements will earn you a 200-hour Certificate, which you can then use to apply to be a 200-hour Registered Yoga Teacher (RYT) with Yoga Alliance. You will also be eligible for future advanced SKY TING training programs and mentorships. The program includes the required weekend lectures below in addition to 25 hours of peer training/practice sessions and SKY TING YOGA class observations. There will also be homework assignments expected to be completed weekly. You'll be provided with a SKY TING YOGA training manual and there is a supplemental book list that you will be responsible to purchase. All lectures will take place at SKY TING’s flagship location in Tribeca. The cost of the program is $3,500 paid in full by February 15, 2019. There is an early bird special of $3,250 if paid in full by January 4th, 2019. An application deposit of $250 is required which will go towards your tuition if accepted into the program. If not accepted, the deposit will be returned, if you are accepted and do not attend, the deposit is non-refundable.